The city of Chicago is filled with high-class museums and institutions. Each year, countless residents and out-of-town visitors flock to popular destinations such as the Adler Planetarium and the DuSable Museum of African American History in order to observe for themselves the historically and culturally significant wonders that await inside. What is also well known is that most of these museums generally require an admission cost, a fact that, unfortunately, deters some would-be visitors. But come Saturday, September 22, several museums will, for that day only, be waiving their admission cost in celebration of Museum Day. In partnership with Smithsonian Magazine, over a thousand museums across the country will provide free entry to anyone who presents a Museum Day ticket upon entry, with each ticket guaranteeing admission for two people. The DuSable Museum of African American History. Photo by Marielle Shaw. The mission of Museum Day, according to Smithsonian Magazine’s website, is to act as “a springboard to empower and help advance the hopes and ambitions of the public, particularly school-aged children and those in underrepresented communities.” The theme of this year’s Museum Day is “Women Making History”, so expect many of the participating museums to host events, activities, or discussions regarding the role of women and their influence in the fields of art, science, and culture. In order to sign up, visit Smithsonian Magazine’s Museum Day page, where you’ll be able to type into the search box your state of residence and zip code. From there, simply click on which museum you’d like to visit, enter your name and email, and you’ll immediately receive your ticket through email. Be aware though, each email is limited to one free ticket. From there, all that’s left is to visit your selected museum this Saturday and have some fun! For those who haven’t checked them out already, Museum Day provides the perfect opportunity to visit some of the newest exhibits in the city, some of which only have a few months left on display. The Adler Planetarium is currently housing the award-winning exhibit, What is a Planet?. Offered through January, the exhibit centers around the ongoing discussion and sometimes debate over what constitutes a planet. The exhibit also examines Pluto and how its demotion to a dwarf planet has forced researchers to question and reexamine our solar system. Meanwhile, the American Writers Museum has been a highly popular destination since its grand opening in May 2017, making Museum Day a great chance to check it out for yourself and see why. The museum currently has a number of fascinating exhibits to check out, most prominently of which is their Frederick Douglass: Agitator. Revered for his intellect and commitment to the abolition of slavery, Frederick Douglass has emerged as one of the greatest writers in our nation’s history. The exhibit, on display until April 30 of next year, highlights excerpts from his many speeches and writings, allowing visitors the chance to explore Douglass’s life and influence on the country since his death. Underwater Beauty at the Shedd Aquarium. Photo by Marielle Shaw. Whichever museum you decide to visit on Museum Day, there’s no doubt you’ll walk away having learned something great and worthwhile. Though Museum Day is only for a day, there’s never not a good time to go out and explore the dozens of museums that populate the city. The horrific fire that destroyed the Museu Nacional in Rio de Janeiro and the many treasures that were in its possession gives us more reason than ever to explore the many treasures that sit right here in Chicago, and asks us to examine and take into consideration the crucial role that museums take on in society. 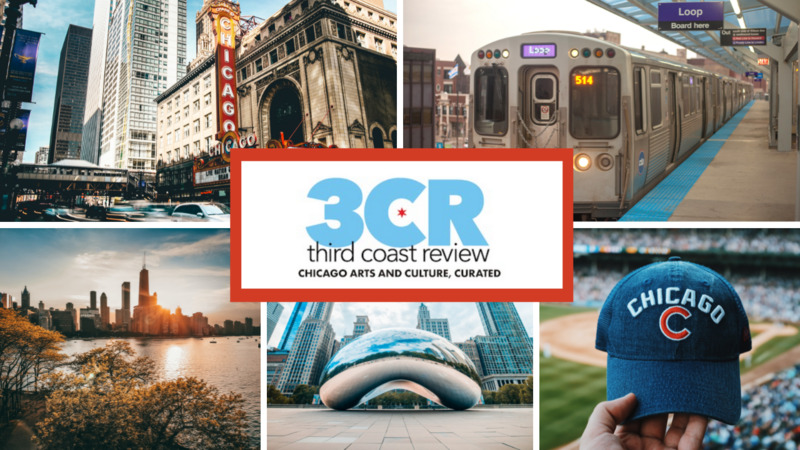 To learn more and stay up to date on all of Chicago’s museums, stay tuned to Third Coast Review. Please consider supporting Third Coast Review’s arts and culture coverage by becoming a patron. Choose the amount that works best for you, and know how much we appreciate your support!